THE YIDDISH QUEEN LEAR and WOMAN IN THE MOON. New York in the late 1930’s. A once-famous Yiddish actress gives her theatre business over to her three daughters. A story of love, infidelity, betrayal and exile inspired by Shakespeare’s King Lear this new play with music, examines the moment when Jewish East European and American cultures mix on the eve of the Holocaust. 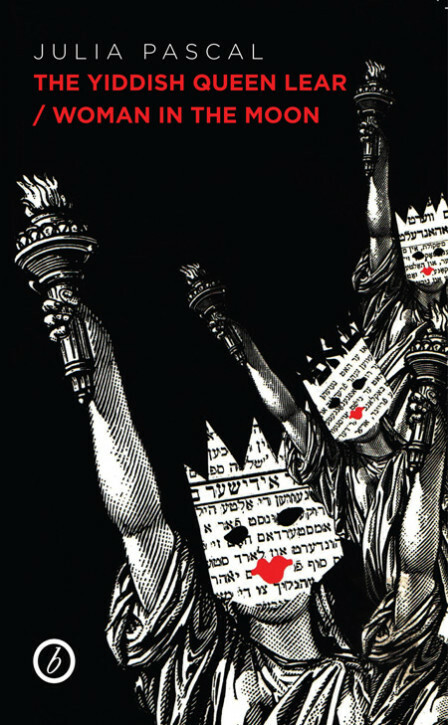 The Yiddish Queen Lear premiered at Southwark Playhouse in 1999. Pascal’s charmingly quirky new play is both a freeworking of Shakespeare and a homage to the lost world of Yiddish theatre. ……Pascal offers a moving snaphot of prewar Yiddish culture and its clash with the American way of life. Julia Pascal’s intelligent, witty and affecting rewrite…Pascal directs with her customary sensitivity, doing justice at once to the human story I the foreground, its classical origins has also in her powerful Dybbuk and the horrors waiting at the edge.Pascal shows the clash and connections between two worlds in a vibrant, funny and tragic play. Pascal takes us on a whistle-stop tour of the full range, from sparkling music-hall comedy and plaintive song to improvisation, while showing an endearing lack of reverence for her subject. This play is an affecting and eclectic treat. Evening Standard. A fascinating and enjoyable evening. The Guardian. Fritz Lang’s great silent movie Frau im Mond premiered in l929 and gave the world its first celluloid space travel fantasy. The film had an enormous impact on German rocket scientists, most notably Wernher Von Braun, the brains behind the l969 US space mission. But Von Braun’s achievement caused the deaths of thousands of slave labourers in Camp Dora where Vl and V2 rockets were constructed as Hitler’s secret weapon to crush the British. This play explores the connection between today’s technologies, such as the mobile phone, and their links with the pilotless planes that killed the British as the war was drawing to a close. Death machines that would eventually be the prototype for the race to the moon. The text is inspired by testimony from French, German and Austrian Camp Dora survivors. Premiered at the Arcola Theatre in March 2001. ‘Brave, intelligent and desperately moving. Pascal’s play puts a human face on the misery of history. She also does it in such a way that it is never sentimental but possesses a Brechtian austerity. The faceless become individuals here. This is a dense, enlightening evening that packs a real punch’.